With over 2 billion active users on Facebook, this social media platform is one of the most powerful and cost-effective advertising channels for businesses. 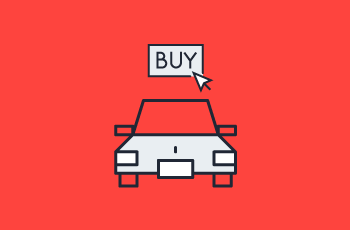 Facebook ads are a valuable tool for car dealers because Facebook’s varying ad types can be used to target potential customers at each stage of the buying journey, from awareness to decision. Classic Facebook advertising strategies typically suggest using a combination of Link Clicks and Post Engagement campaigns, but many more sophisticated methods now exist for more precise targeting and increased conversions. Let’s take a look at some popular types of Facebook ads that can work well for auto dealers. It’s no surprise that videos have taken over the Facebook newsfeed. In fact, Facebook sees over 8 billion daily video views on average; video content also drives the highest engagement rate across the platform. But what if your auto dealership doesn’t have any videos to post? Not to worry. With Facebook slideshow ads, you can turn any of your photos into a seamless video. Simply choose up to seven photos, add audio and text overlays, and you’re done. Showcasing your dealership’s interior, service department, inventory, and more is now quick, easy, and affordable. When you run lead generation ads for your auto dealership, you’ll not only be educating customers about what you offer but more importantly, you’ll be generating leads through highly targeted campaigns. This direct approach means you’ll reach more of the right sales prospects the first time around. The best part? Facebook fills out part of the contact forms for users, so more people will be likely to submit the form to your dealership, resulting in a higher number of conversions. Facebook also partners with some CRMs to automate getting your leads into the CRM. Rather than logging information by hand, your team can now spend its time following up with prospects and re-engaging cold leads. What is retargeting? In Facebook advertising, it’s a strategy to send 'reminder messages' to customers who visited your site but never completed a form submission, checkout or other conversion action. Don’t miss out on customers who aren’t clicking or converting the first time around. Using Facebook targeting tools like the Pixel, your dealership will stay top of mind and ultimately, drive more conversions. Callouts for those who have recently browsed inventory. A sense of urgency, reminding customers to look at the latest offers before they end. Special deals for first-time customers. Using the Facebook Pixel, Facebook dynamic ads automatically generate ads based on user activity on your dealership’s site. Potential customers will see ads that direct them to relevant inventory pages, lead forms or any other page on which they might have shown interest. Most importantly, your potential customers will always be shown the vehicles most relevant to them. What does this mean for you? Increased engagement. All you’ll need to provide is an inventory catalog with information like price, location, and availability. Facebook will use this list to incorporate that information into the ads. After the initial set up process, your work is done. Facebook serves the right ads to the right buyers so that you can focus on selling. Here at Adpearance, we work with you to create and execute a Facebook advertising strategy to help you reach your sales goals. Contact us today to learn about our customized Facebook advertising solutions for auto dealers.